Losing weight isn't as simple as adopting a new diet. Obesity is a serious condition that may need a multi-faceted approach to be effectively overcome. Here are four things to consider to aid you on your journey to a healthier life. The foundation of a healthy lifestyle is diet. A nutritious diet can not only aid in losing weight, but could give you the energy needed to be active. It's important, however, to avoid fads as these can be unhealthy and counterproductive. Instead, focus on a gradual transition to more balanced meals. Eat smaller portions at regular intervals throughout the day, never skip meals, and stay hydrated. Add lots of vegetables and fruits, as well as lean proteins and whole grains. Fruits and vegetables can also act as an alternative to more high-calorie snacks. One thing that should be minimized is sugar, including sodas and sweetened tea, as it can be an impediment to weight loss. Getting into the habit of physical activity is essential to overcoming obesity. Before starting a workout routine, consult with a medical professional to establish what level of intensity is safest. A good starting point is walking, as its benefits can be significant while not placing excessive strain on the body. It's an activity which can be incorporated into your daily responsibilities. Whether it's going to work or the store, take the stairs instead of an elevator, and park your car farther away. As you get more comfortable, choose additional low-impact cardio workouts like swimming and water aerobics. In addition, introduce strength training into your routines as building muscle will improve your metabolism over time. Finding exercise routines you enjoy may take a while, but you will have set a strong basis for your future workouts. Going to the gym is not for everyone. Sometimes it simply is not practical due to a tight schedule. It can also be quite daunting when starting out, and committing to a membership can be expensive. An excellent alternative is a home gym. It may take some of the stress out of getting healthy while ensuring absolute comfort with your routines. Even with the initial outlay of acquiring equipment, you could save yourself money long-term. The basics of an effective workout do not have to cost big bucks, either. Look to kettlebells, resistance bands, and Swiss balls as an affordable foundation for your gym. Avoid investing in expensive items like treadmills unless you are certain of their long-term use. Big pieces of equipment are the most vulnerable to changing fitness needs. Fill your gym with rubber mats, and even consider a few personal touches, whether that's plants or a few posters. Wellness is inextricable to good mental health. When one is unaddressed, the other is likely to be adversely influenced. Unfortunately, obesity can be a major factor, or symptom, in poor mental health. As there are a myriad of negative emotions, it can seriously impact self-esteem and confidence, and be a contributor to depression and isolation. This can become a cyclical problem, so it's important that you address any mental health issues as you start your journey away from obesity. A good starting point is counselling. Through professional support, you can gain valuable insights and develop effective techniques to manage stress and improve mental health. By getting to any root causes or behaviors, you can better equip yourself to get physically healthier. A well-rested mind and body will also be important. Being tired and sleep-deprived can be a cause of hunger, while, conversely, sleeping for at least seven hours can aid weight loss. Having restful nights also supports good mental health. So look to create a relaxing environment come bedtime, and get as many hours of sleep as you can. Pursuing a healthier lifestyle can be truly rewarding to your well-being. 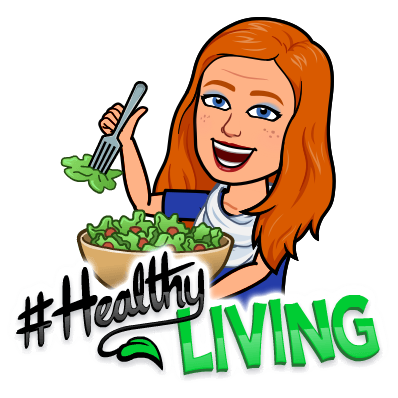 By having more physical activity, adopting a balanced, nutritious diet, and addressing any mental health issues, you can markedly improve your quality of life. Overcoming obesity won't happen quickly, but with these tips in mind, you can smooth the transition to a healthier life.